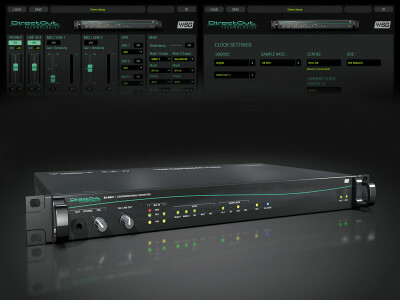 DirectOut Technologies has significantly expanded the capabilities of its recently released EXBOX.MD Dante/MADI interface, with a major firmware and software update. The German networking and pro audio specialist company previewed the updated EXBOX.MD at the AES Milan 2018 Convention, demonstrating it to be one of the most flexible Dante bridges presently on the market. 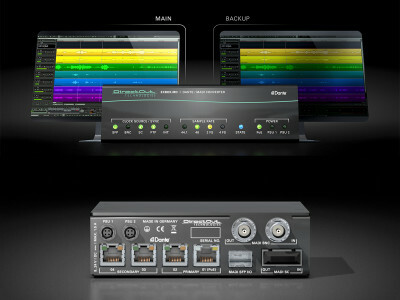 Waves Audio has joined forces with networking, routing and conversion specialist DirectOut Technologies to include Waves SoundGrid technology in DirectOut’s SG.MADI converter. DirectOut Technologies' latest development, SG.MADI, is an audio format converter that links MADI signals with Waves SoundGrid Audio-over-Ethernet. 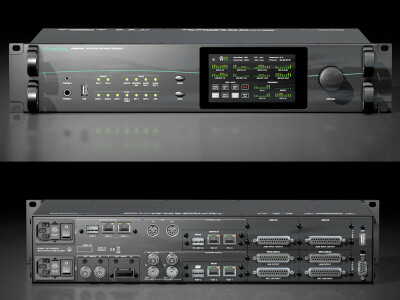 The unit includes analog I/Os allow for immediate interfacing with the network audio and the MADI signal, including two microphone inputs. 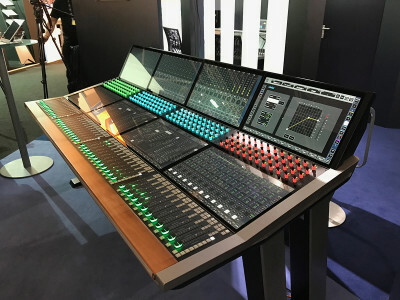 StageTec introduced its new AVATUS IP mixing console at IBC 2017, featuring a new Router InterFace AES67 (RIF67) board, designed in cooperation with DirectOut Technologies. Using multiple 21" multi-touch screens for display and control functions, the impressive AVATUS offers an IP-based connection to the audio processing, combined with a workflow-oriented operation, in which only the relevant, context-related functions are displayed on the touch screens. Interoperability continues to make headlines for RAVENNA at ISE 2017. 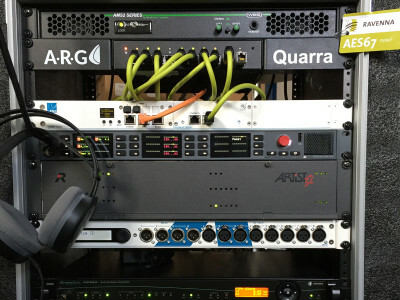 Taking pride of place on the RAVENNA stand (7-V210) in partnership with the Media Networking Alliance (MNA) is a RAVENNA demo rack that will be used to demonstrate AES67 interoperability. 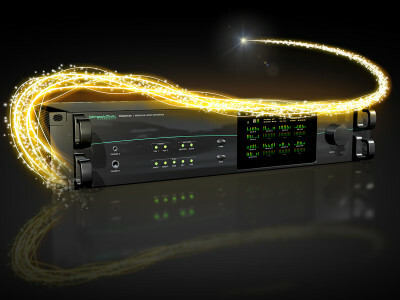 Another important product for members of the RAVENNA community is the new RAVENNA Audio Network Manager tool developed by Digigram and Merging Technologies that will be presented on the Merging stand (7-C169). At IBC 2016 (8-13 September) there be will one of the strongest showings ever for audio-over-IP network technologies and IP interoperability efforts, now extending also into broadcast and video production infrastructures. 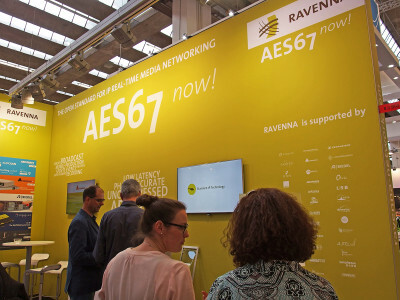 Multiple companies involved in the RAVENNA/AES67 efforts are promoting demonstrations and introducing new products at their own booths, as well as participating in the Media Networking Alliance (MNA) and Alliance of IP Media Solutions (AIMS) IP Interoperability Zone. 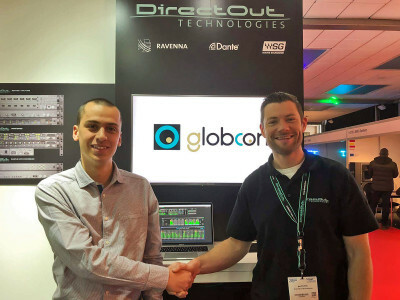 DirectOut Technologies and Merging Technologies have announced high-performance interoperability of both their in-house developed audio network cores using RAVENNA technology. 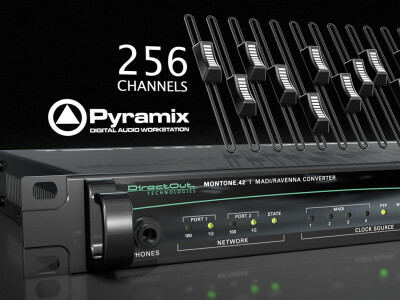 DirectOut’s new MONTONE.42 audio-over-IP bridge supports low-latency streaming of 256 audio channels to and from Merging’s Pyramix Virtual Studio DAW. Major broadcasters and manufacturers are among the latest members to join the Media Networking Alliance, recently formed by leading industry proponents, adopters, developers and suppliers of media networking technologies to promote adoption and support adopters of the newly ratified AES67 audio networking standard.